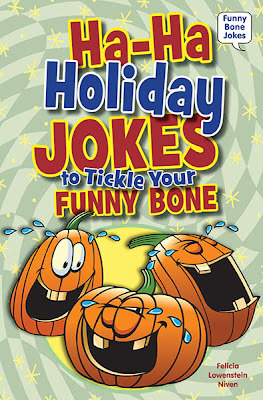 Great Holiday Jokes for Kids! Question: "What's in a ghosts's nose?" Question: "What's the key to a great Thanksgiving? Answer: "A tur-key, of course!" Question: "What did one candle say to the other candle?" Answer: "Let's go out tonight!" "Mayer Kwanzaa be filled with peace and unity!" Question: "Which of Santa's reindeer has bad manners?" Answer: "Rude-olph!" If you still can't get enough goofy holiday jokes, be sure to check out Ha-Ha Holiday Jokes to Tickle Your Funny Bone! It's filled with hilarious jokes, ridiculous riddles, and fascinating facts about holidays from New Year's Day to New Year's Eve, and every holiday in-between!